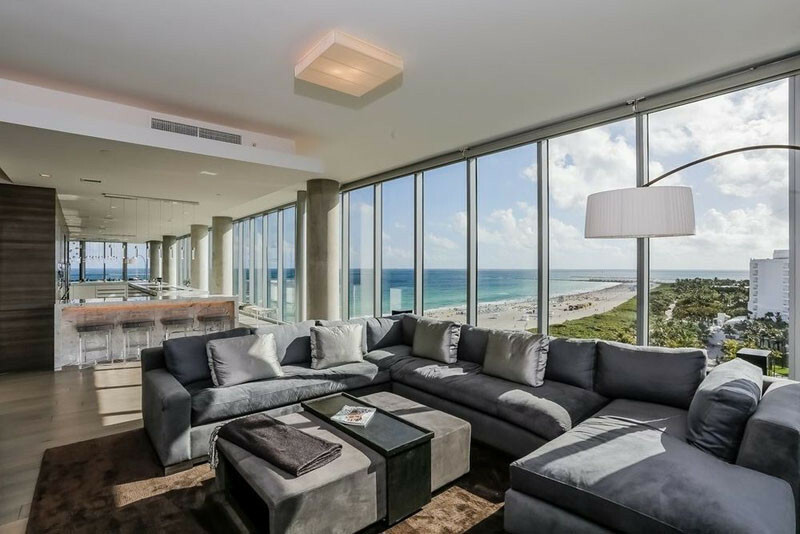 This two-story Miami penthouse apartment, located in a building designed by Enrique Norten, is currently up for sale. 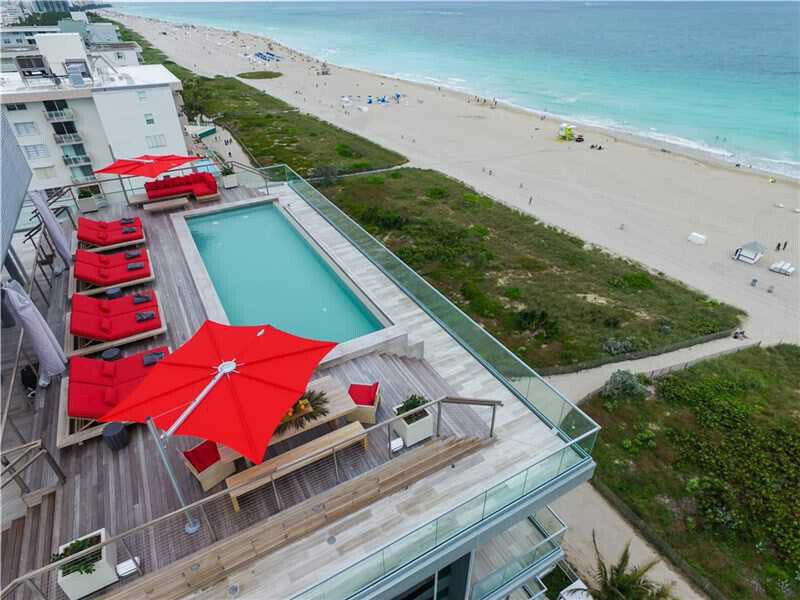 The swimming pool has unobstructed views of Miami Beach. 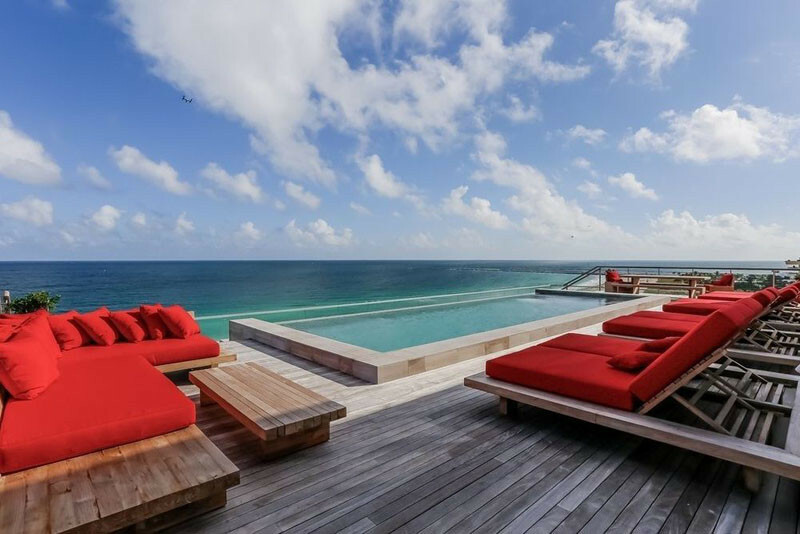 There is plenty of space on the pool deck for sunbathing. Inside, the living room and dining room share the open space. 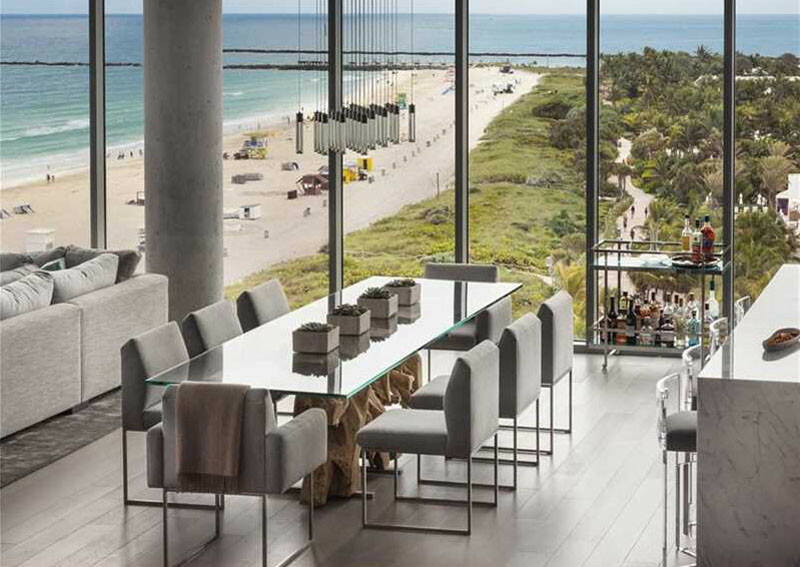 Floor-to-ceiling windows provide views on three sides of the apartment. Perfect spot for watching the world go by while eating lunch. 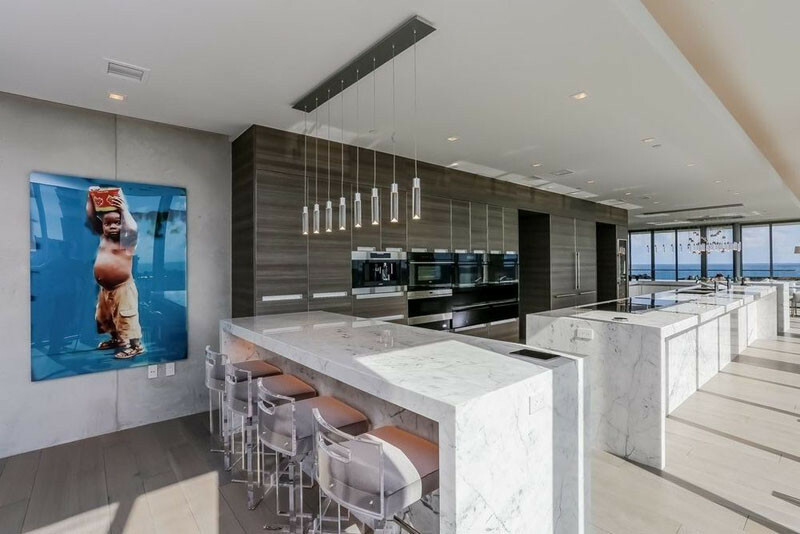 The large kitchen has plenty of space for food preparation. If you need to get some work done, there’s a private office. 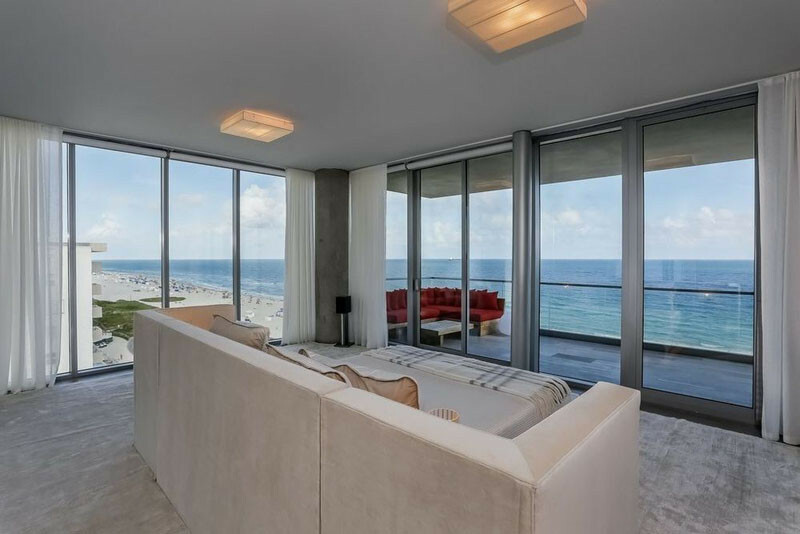 In this bedroom (one of many), the bed takes center stage, and has a balcony for enjoying the ocean breeze. 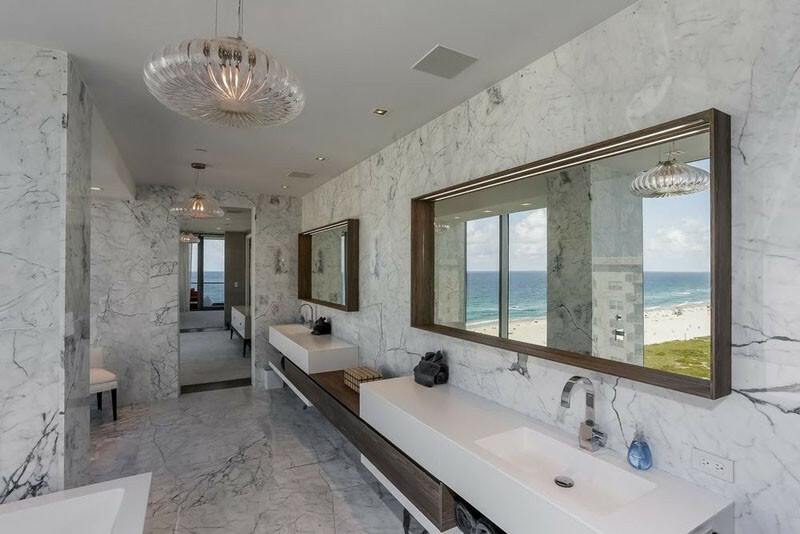 The bathroom is full of luxury, with two completely separate vanities. 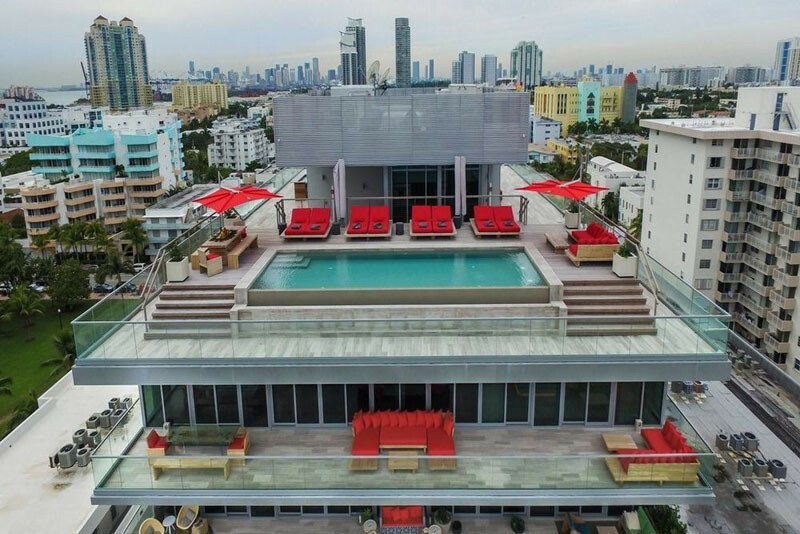 Watch the video below to see some aerial footage of the penthouse .